It is our undertaking to protect well our environment and take the sustainable management measure including anti-pollution green innovation､green production､green procurement. Above all our building has won the prize of green building. In the future we shall cultivate our subcontractors to take the same policy to grow out the green DNA together and implement the corrective measures continuously. Train employees communicate with subcontractors "We have only one Globe." "Love Mother Earth." 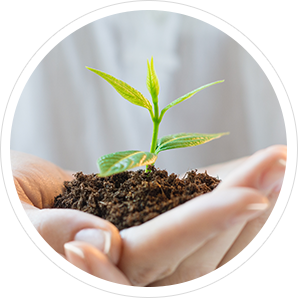 Environment Protection- Our environment management policy. It is our commitment to take the CSR, we deem them our policies and duty to have Green innovation, Green production, Geren Procurement and Green Building. Indeed we possess Green DNA and continuing improvement spirit/actions. Fortunately we had been awarded "Certificate of Neat Production Process" sponsored by our government authority in 2014. Your best partner- Sha Yang Ye. We have the sustainable management as our goal and incorporate the environment protection into our corporate operation all the time. Protect the Mother Earth all the time.- Key to Sustainable Development of Environment. Enhance Green Procurement and supply chain management. Implement Green Buildig and creature diversified. Implement Green office, Motivate employee involvement. Adopt the Green energy and environment protection in consciousness in our new product design. Improve production process and lower impace to environment. Continuously reduce the materials in use and control the wastes. 2015 SHA YANG YE Inc. All Rights Reserved. Design by MINMAX.